THE BRITISH RAILWAY STORIES LTD: "An A Class Dillemma"
Sorting out my stocklist, I looked over my two valance conversions and spotted that something was amiss compared to my Walter K. Whigham A4 Pacific. The problem lies directly with the use of either Kingfisher or Mallard models as the donor locomotives for these conversions. The short access hatches at the front end under the nameplates, are wrong - they should be the double length ones as seen on the Walter K. Whigham model, and any of the BR green liveried A4s that Hornby produce. So the dillemma is simple - the choice is, cut the valances from the same donor models - but modify the hatches, or repaint BR liveried A4s garter blue with coronation red wheels. 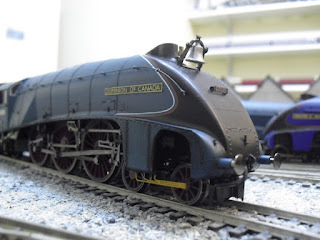 Hornby have not offered an A4 Pacific in the garter blue/single chimney/long access hatches form yet, so it is up to me to decide whether I can live with the knowledge of this fairly minor physical discrepancy, or want to repaint a vast number of A4 Pacifics in the forms I want. ...designing an etched replacement access hatch to fit onto the A4 bodies which need it. Good idea, bad idea...? It really can be thoroughly infuriating finding a new problem once you think you've cracked the method! 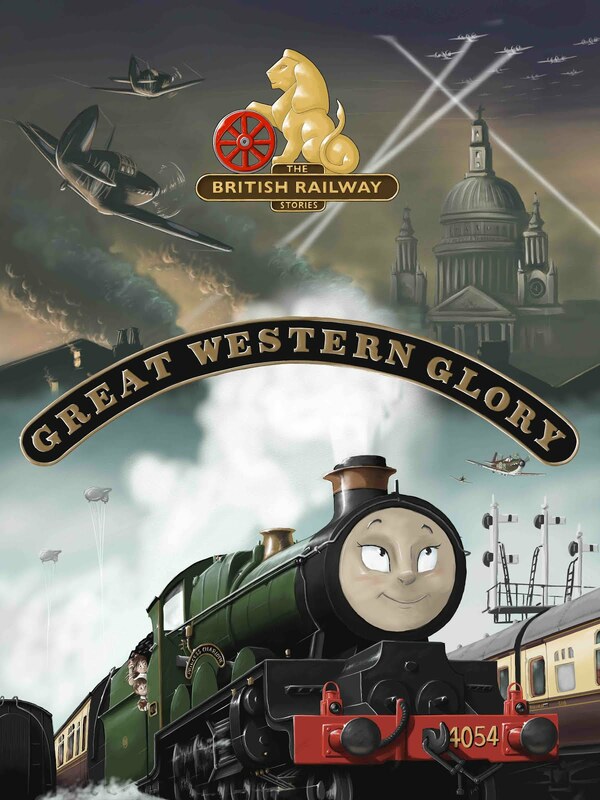 In terms of the stocklist, I am debating adding Dwight D. Eisenhower and removing Sir Nigel Gresley, as Dwight D. Eisenhower was the only A4 to remain in LNER livery through to 1949. Albeit, I believe as E8 and not 4496 as it was post-war. This would add something a little different to the other planned garter blue A4s. Go for it, get Dwight D. Eisenhower.